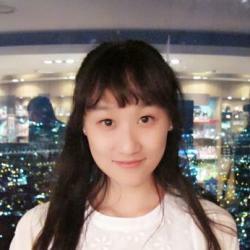 Jun is currently studying in the full-time MBA programme at Frankfurt School. Before joining FS, she worked with Bayer as a Market Analyst and Assistant to Country Head. As international students, we all come to Germany for our own reasons. No matter what our reasons, it is our common goal to have good careers (often in Germany) after graduation. One of the many ways in which Career Services help us achieve this goal is by organizing various events, such as the series „My German Success“, a Panel Discussion and networking event open to international students at FS. FS alumni from diverse backgrounds are invited to share their thoughts and experiences on starting a successful career in Germany. The panel for the event held in April 2018 consisted of Katharine Greenup, MIB Class of 2014, Carlos de Oliveira, MBA Class of 2017 and Mayank Malik, EMBA Class of 2018. The panel discussion was exceptionally interesting and insightful. The alumni were extremely open and helpful in giving suggestions based on the students‘ concerns. At first the alumni were asked about the challenges they faced while living in Germany and what one could do to mitigate these. They pointed out the importance of learning German. In their opinion, as long as you could speak German, half of the challenges would be gone and it would often open doors. However, it is important not to be afraid if your German is not excellent at this stage because you can also use English documents to apply for jobs and then impress the interviewers with a few German sentences during the interview. One of the alumni shared an interview experience where he was asked to choose between German and English. He decided to step out of his comfort zone and to speak German. This decision helped him to impress his interviewers and to demonstrate his level of self-confidence. After all every student will face challenges in his/her professional career and the companies use the interview to test how the candidates deal with pressure. German business culture is another interesting topic. We have a stereotype that Germans separate professional and personal life and they prefer to keep a certain distance to colleagues. The alumni expressed that their German colleagues were actually very friendly and it was possible to develop friendships with them. But, keep in mind: always be formal until they tell you not to be. From the alumni’s anecdotes we also learnt about some common practices in the German business environment:“Do not simply reject a coffee invitation if you do not like coffee.“ People often ask because they want to talk and network with you. Do not worry about the coffee; you can drink something else too ;-). Lunch time is also a great opportunity to network. It helps to meet your German colleagues for lunch regularly because they like to exchange ideas and network during lunch. It is often used as an informal business meeting which is very useful to hear about news that you may have otherwise missed. This is important not only in Germany but in every other business culture. We have learnt from different occasions that networking is important. One way to approach people is: Instead of telling them directly that you want to join, you can show your strong interest in what they are doing (being well-prepared of course) and how you can contribute to that. One can also look at networking as an exchange process. Next time you approach someone, think about what you can give besides what to get: it’s a give and take. In the end, I would say, it’s always worthwhile to excuse yourself from your busy schedules to attend career events because you get so many valuable and interesting insights. So next time you see a Career Services event on Jobteaser don’t hesitate. Just sign up and be sure to attend!